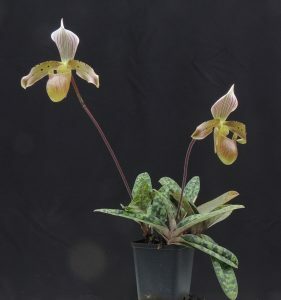 Spring is Paph time in the greenhouse and the first to flower is Paphiopedilum tonsum. 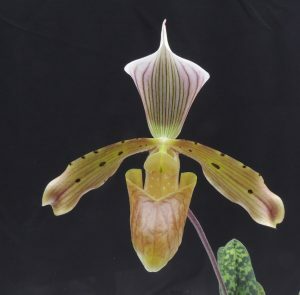 This species which is native to North and Central Sumatra where it is found from 1000-1800m altitude as a terrestrial in deep humus and deep shade. We have found that the species really resents bright light and so we keep it well shaded all year. We provide shade both with additional shading net and the natural shade from large plants (especially Trichotosia ferox) that grow above it.